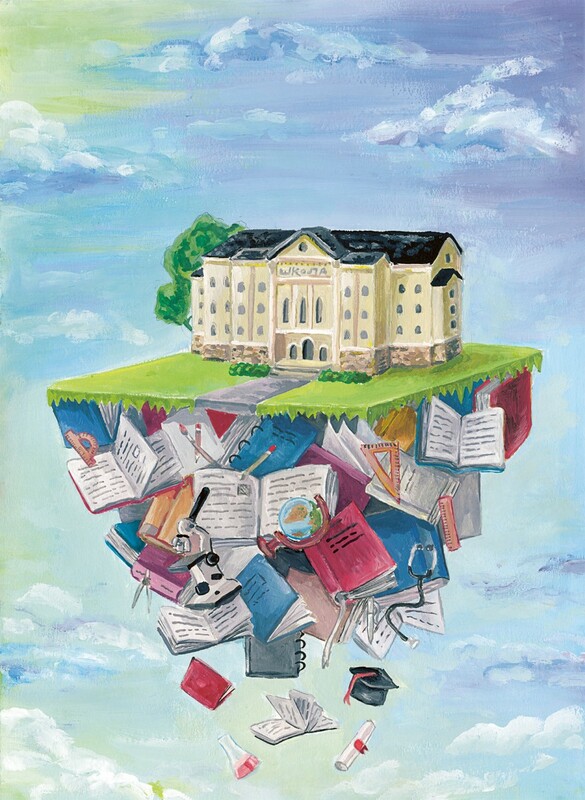 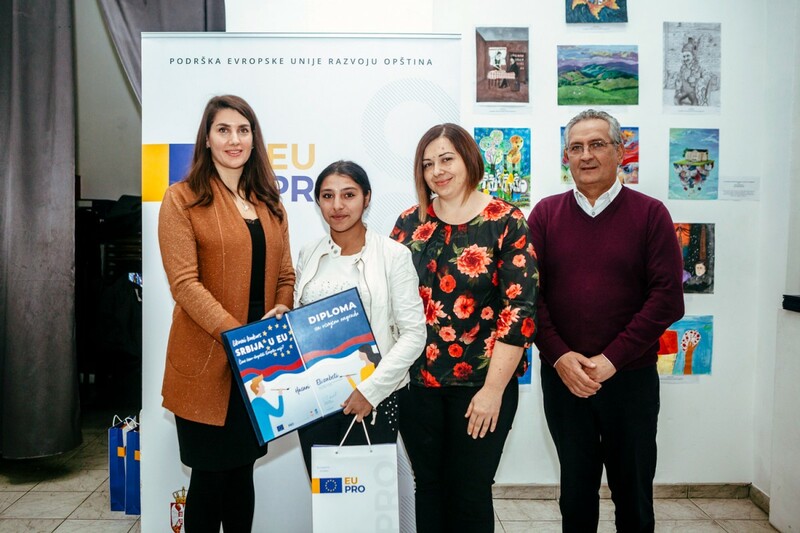 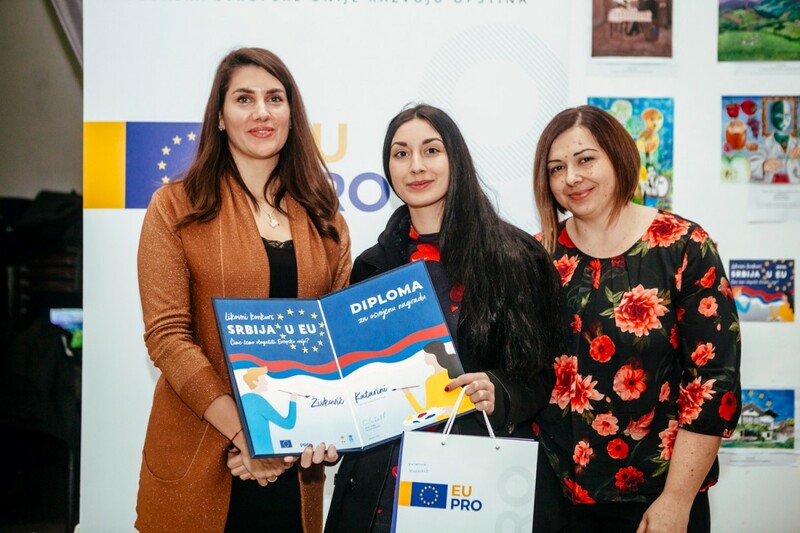 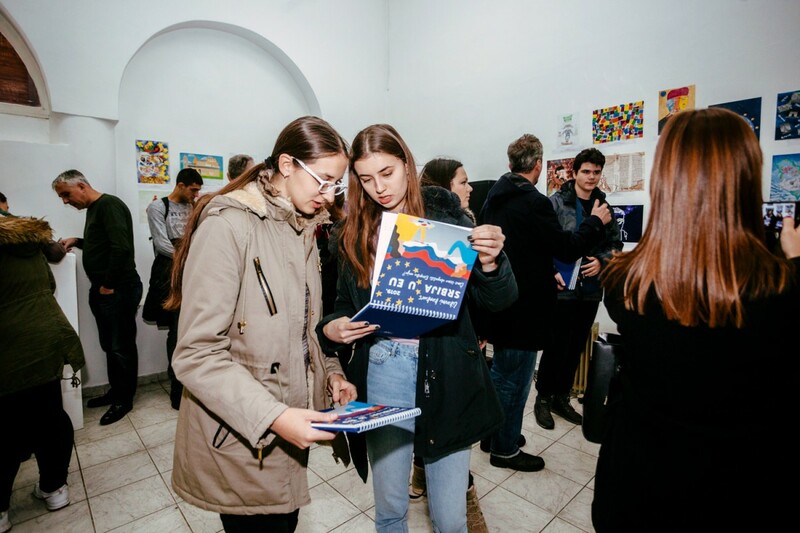 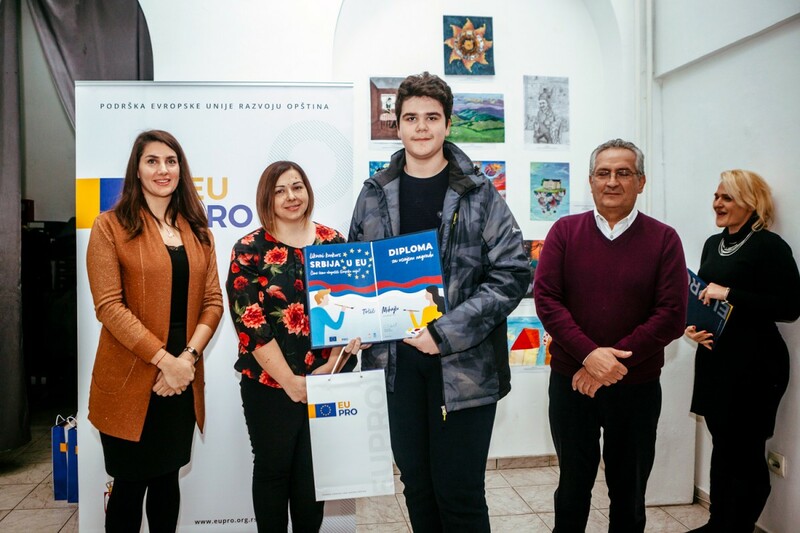 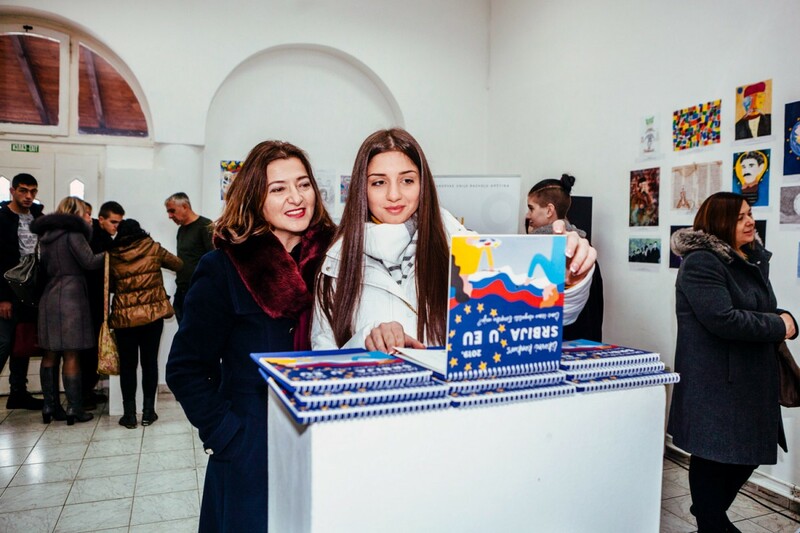 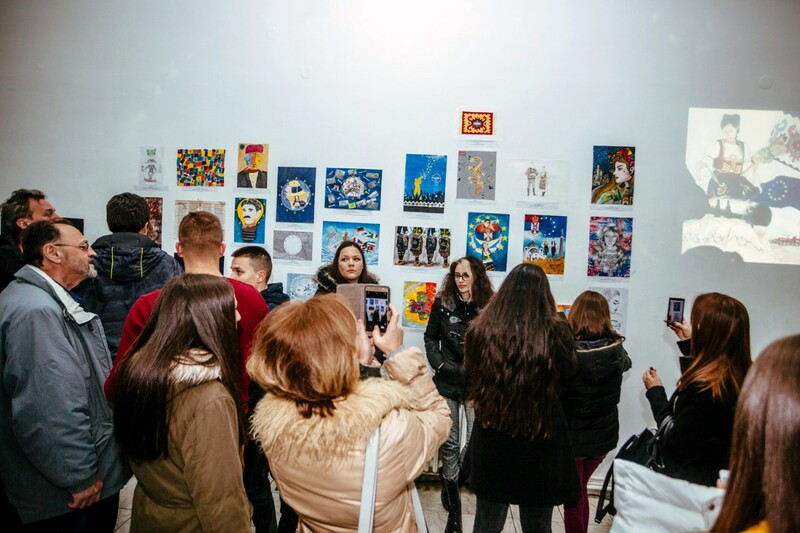 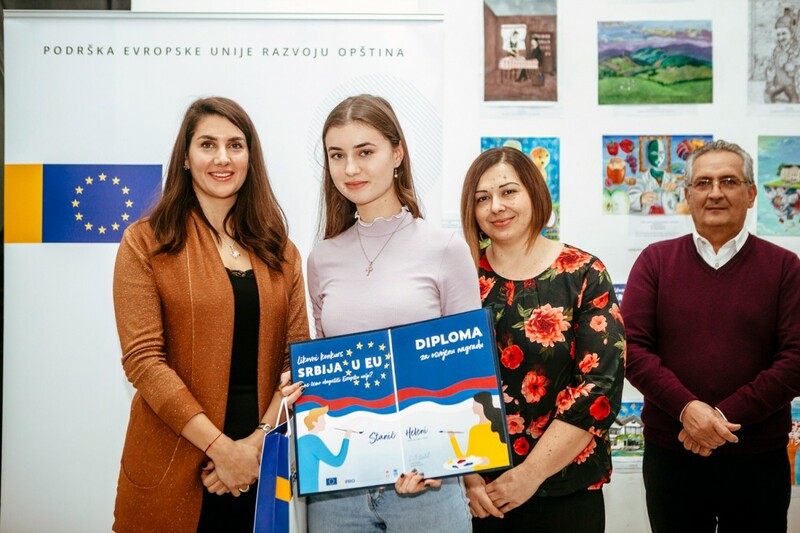 Danica Stojanović, a student from the Art School in Niš, has won the first prize in the art competition of the EU PRO development programme for 2019. 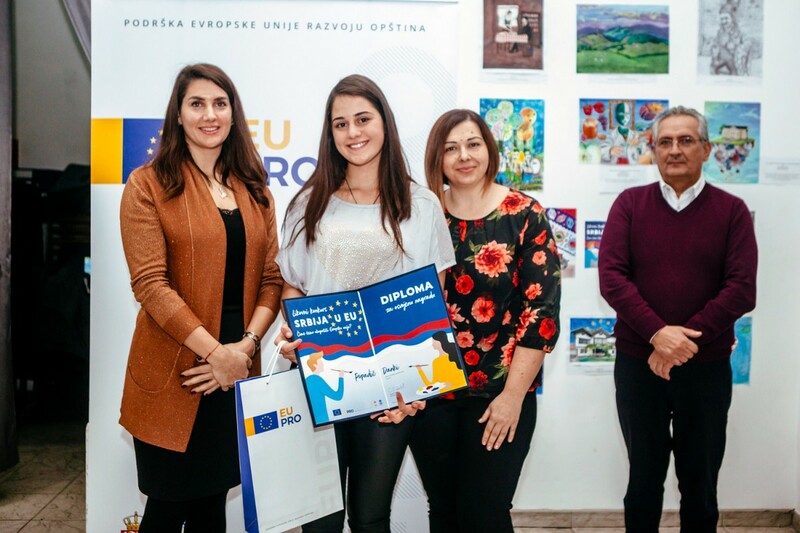 The second and third prizes have been awarded to Katarina Stojanović from the Grammar School in Leskovac and Stanica Ramadanović from the “Nikola Tesla“ Technical School in Surdulica. 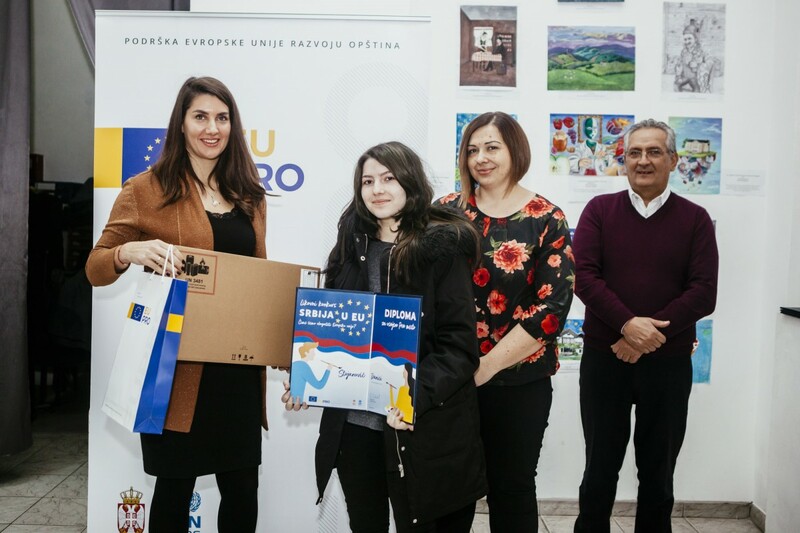 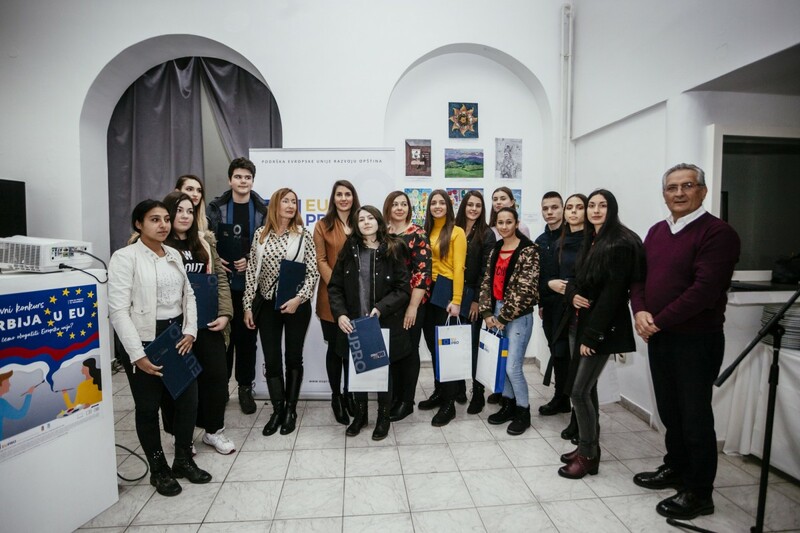 The representative of the Delegation of the European Union (EU) to Serbia, Ana Stanković, and Milica Marković Tomić, on behalf of the Ministry of European Integration have today presented the prizes, laptops, tablets and mobile phones, to the best students at the presentation of the calendar held in Kraljevo. 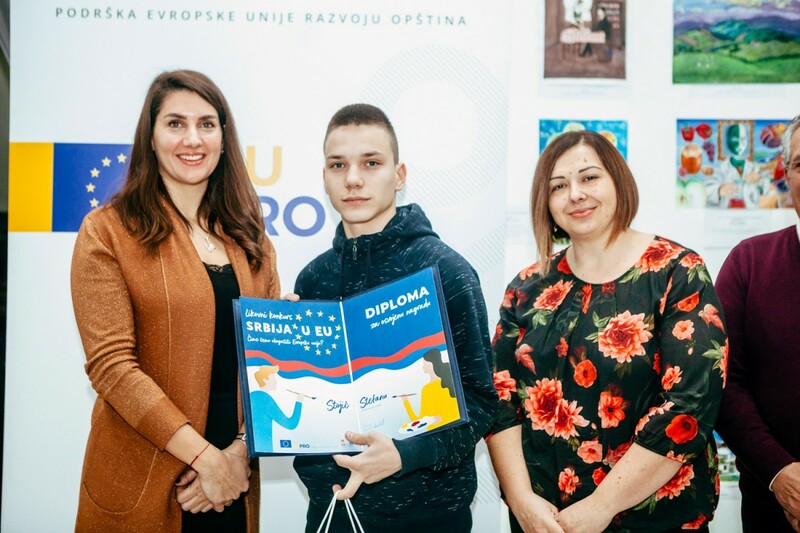 “You, our younger generation, have recognised true European values, rooted in Serbia and our tradition, and you have shown in your works that we can enrich the European Union through scientific work and research, religion, culture, sports, art“, said Ana Stanković, representative of the Delegation of the European Union (EU) to Serbia, congratulating the young artists as well as the teachers who motivated and supported them to participate in the “Serbia in the EU – What can Serbia bring to the EU?“ art competition. 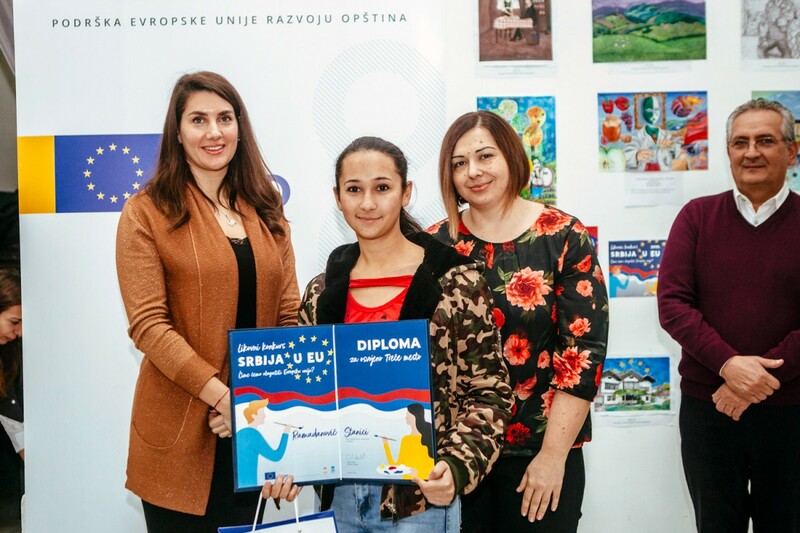 She added that the European Union will continue supporting South-East and South-West Serbia, improving living conditions, thereby enabling youth better conditions for creative work. 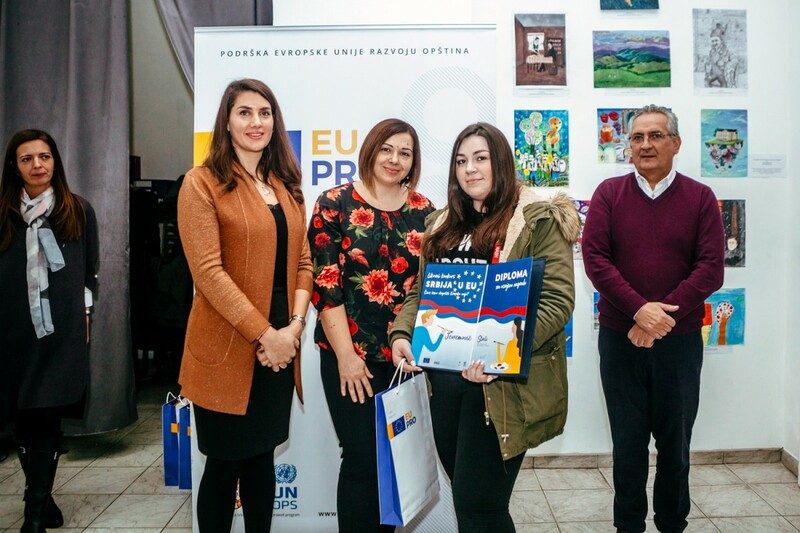 “The calendar for 2019 will adorn living and working spaces of many people working at the Delegation of the European Union and the institutions of the Republic of Serbia, and it will keep reminding us that the investment in youth always pays off“, stated Ana Stanković. 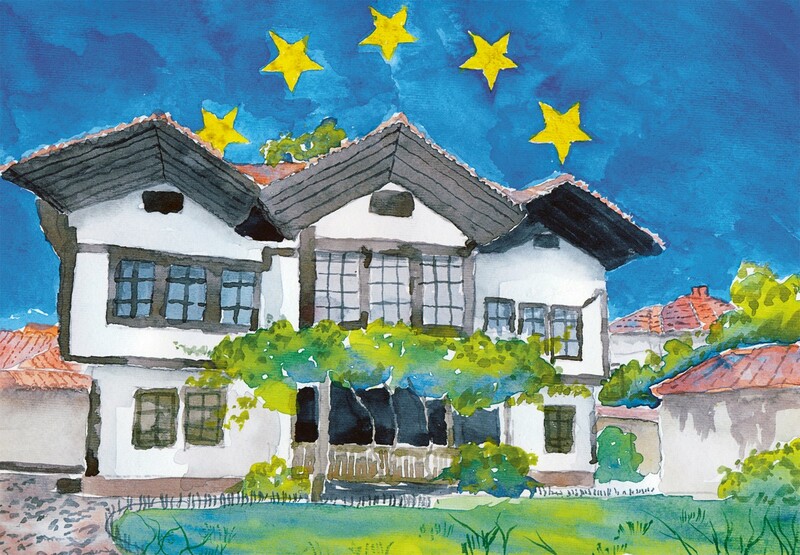 “The Ministry of European Integration regularly conducts public opinion polls on the orientation of the Serbian citizens regarding the European Union, and when analysing some of the greatest fears of the citizens, we find that the fear of losing national identity is always in first place. 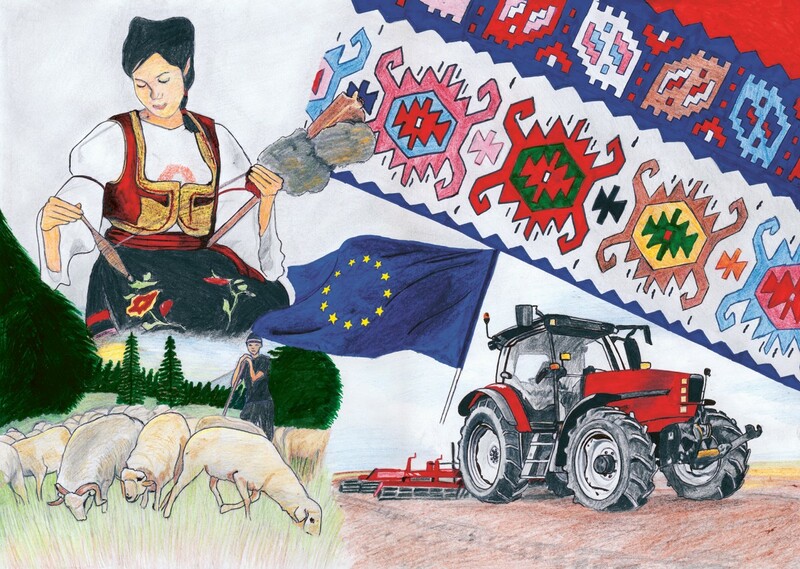 231 artistic works that were sent to this art competition indicate the polar opposite – that by the EU accession, Serbia will not lose its national identity, rather that with its national identity, as well as its culture and heritage, will contribute to the European Union“, said Milica Marković Tomić, Head of the Group for Communication on EU Funds at the Ministry of European Integration. 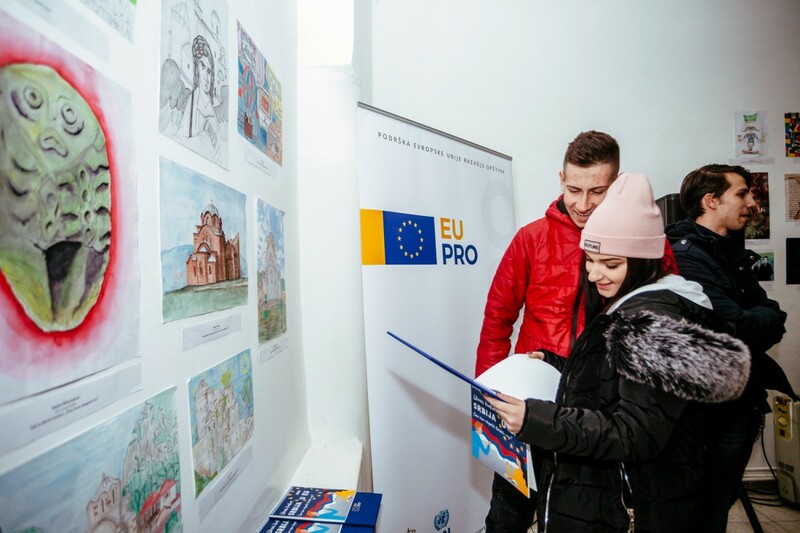 “Our youngest citizens, as we can see from these works, have both ideas and knowledge that will benefit them, as well as their families and communities“, said Milun Jovanović, member of the Kraljevo City Council, in charge of relations with public institutions, and protection and promotion of human rights. 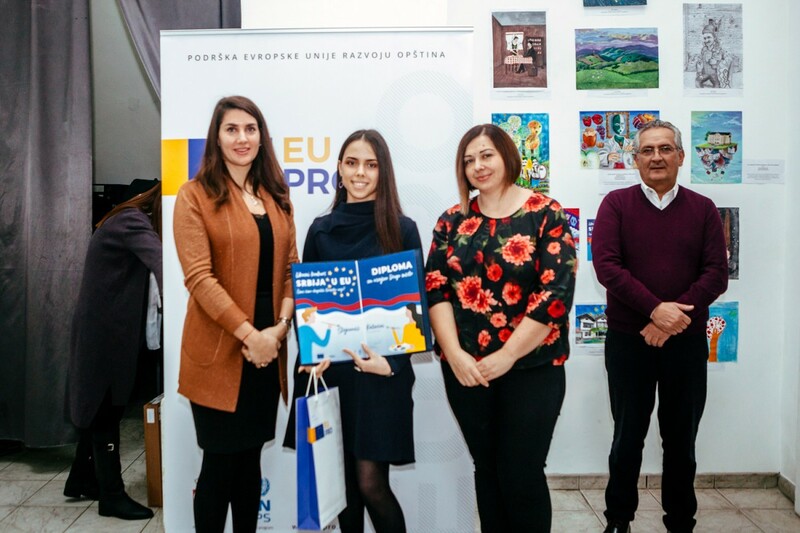 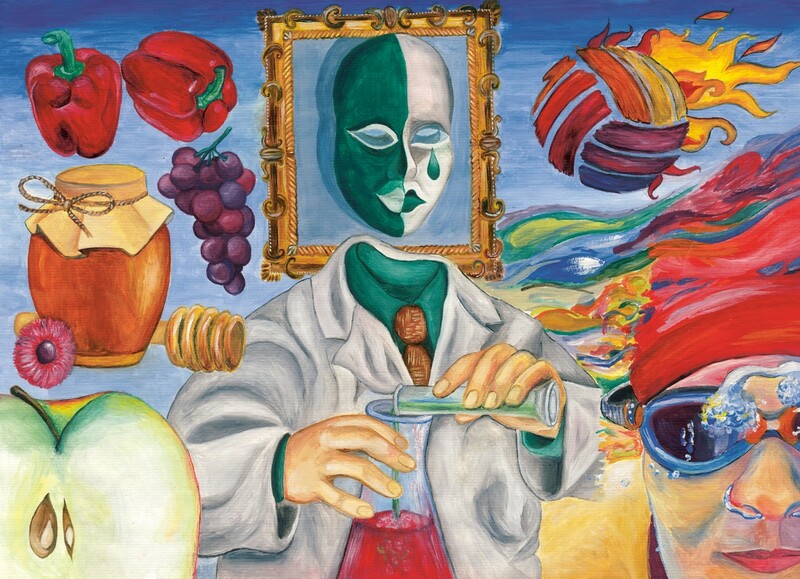 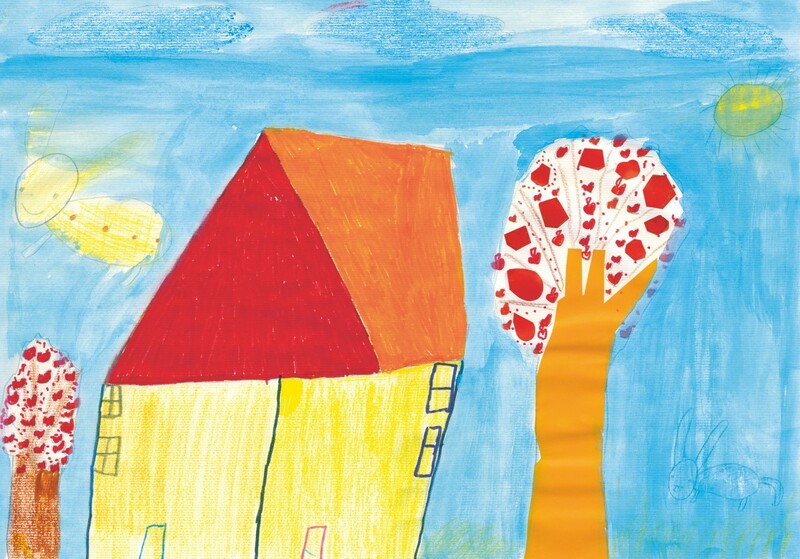 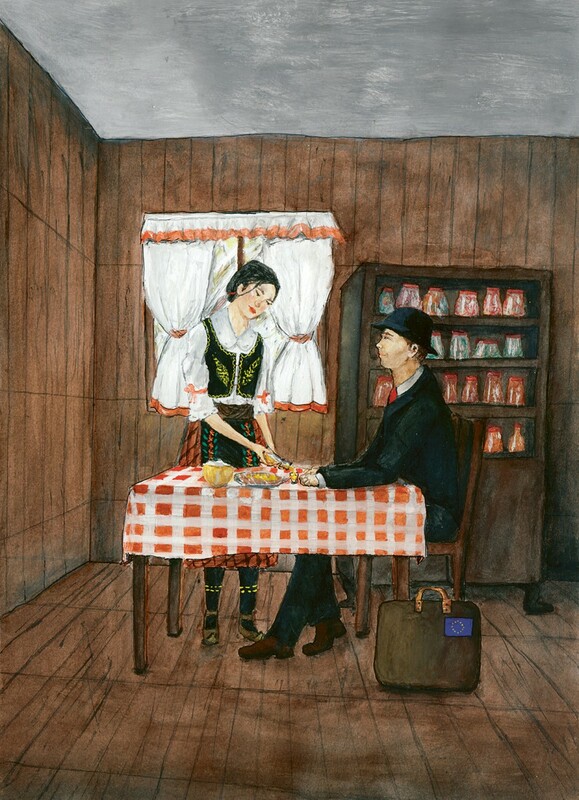 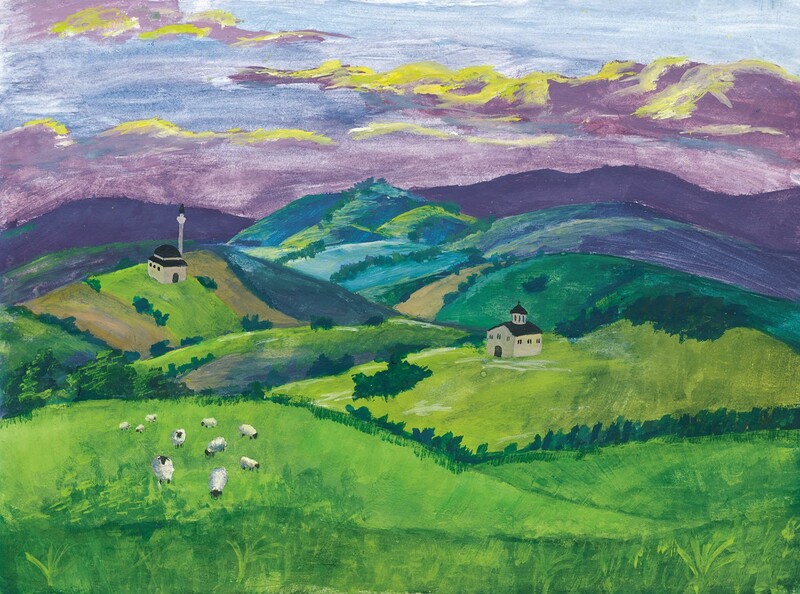 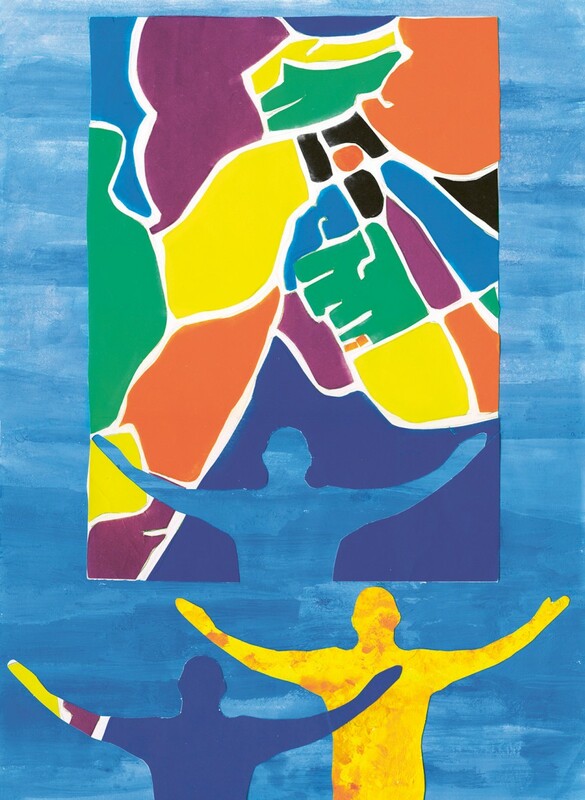 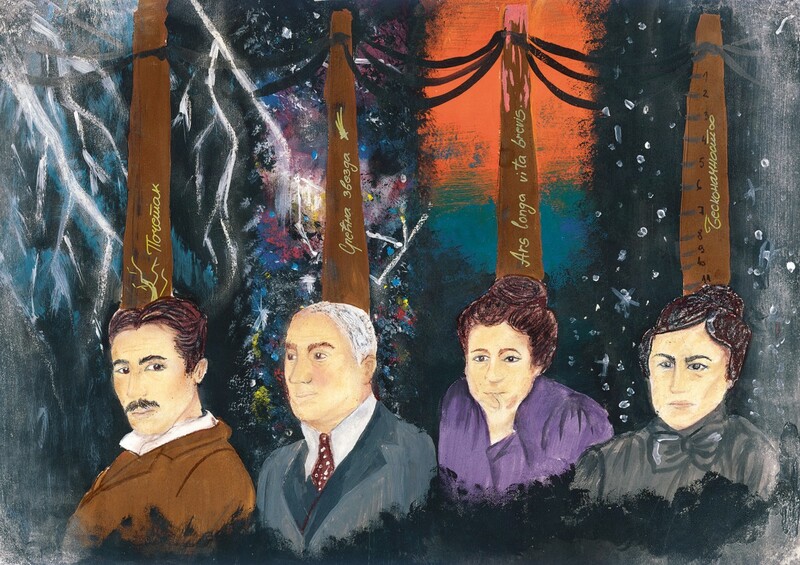 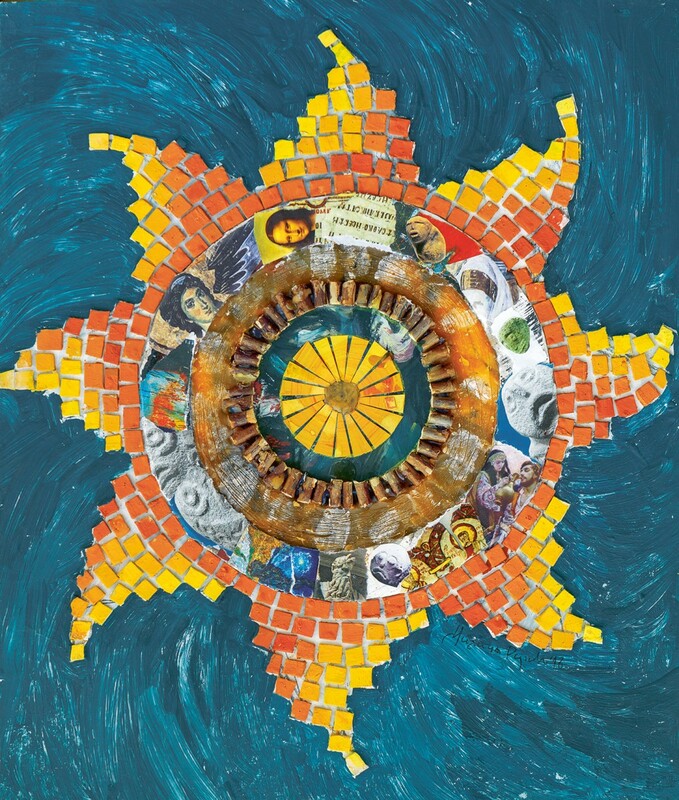 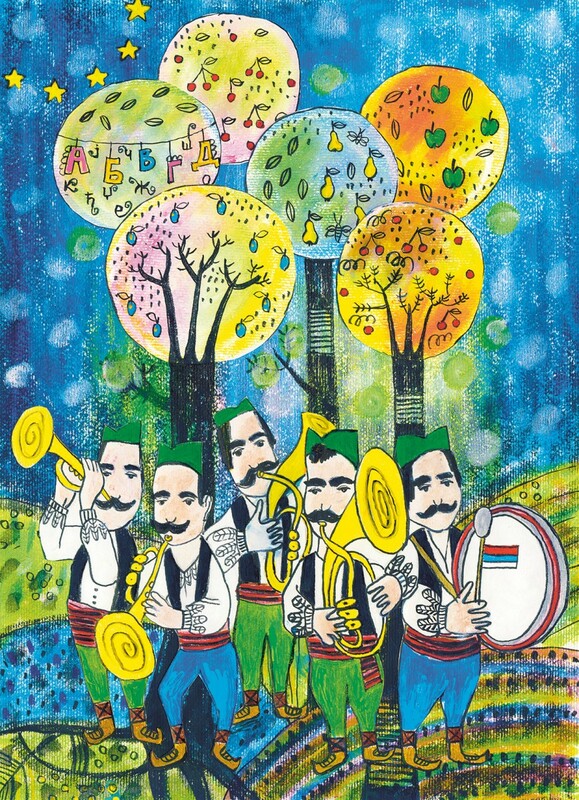 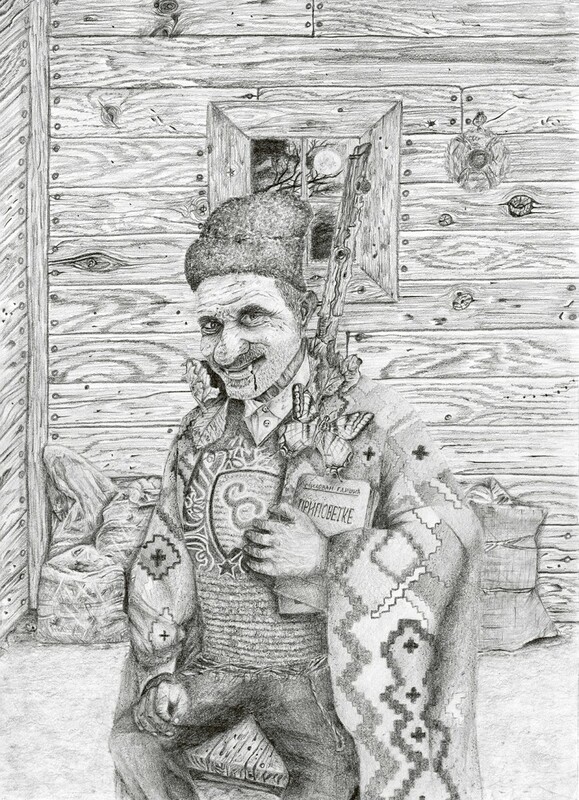 Apart from the first three awarded artworks, the EU PRO calendar for the following year also features the artworks of Tamara Parezanović from Čačak, Stefana Stojić from Raška, Mihajlo Tošić and Katarina Živković from Pirot, Staša Jevremović from Kruševac, Elizabeta Hasani from Kraljevo, Danka Popadić from Sjenica, Milica Rajković from Kragujevac and Helena Stanić from Priboj. 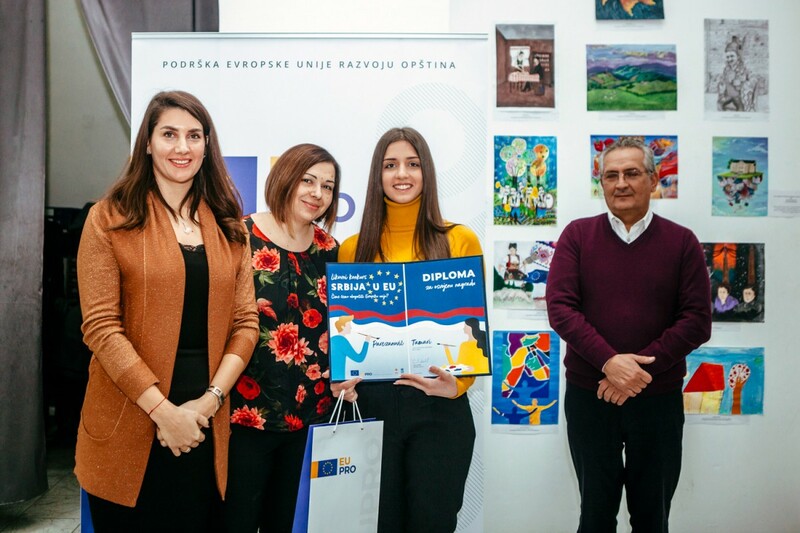 The School of Applied Arts in Šabac was declared the best, based on the engagement and commitment in preparing the school competition and works, and it was awarded a PC and a projector.